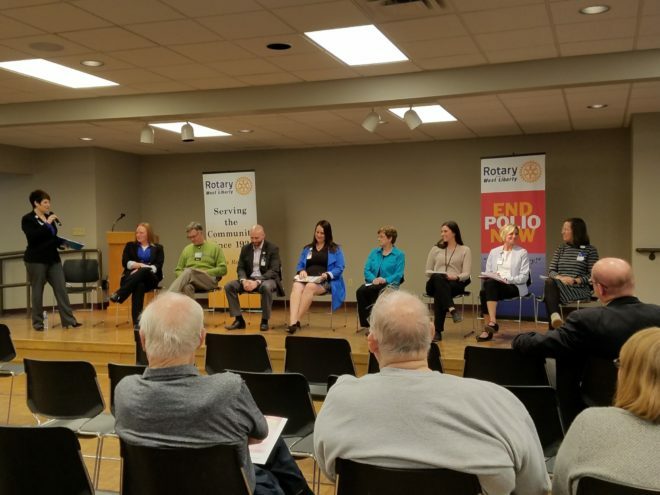 On Tuesday, April 9, we will meet at the community center at 6:00 p.m. We will watch a video of the One Rotary Summit and have small group discussions. After we adjourn the regular meeting, the board will meet; all are invited to stay for the board meeting. 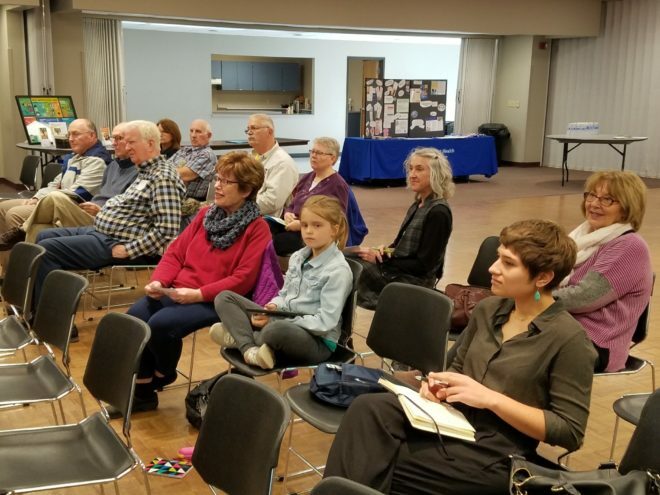 We hosted a public forum on health issues in Muscatine County. 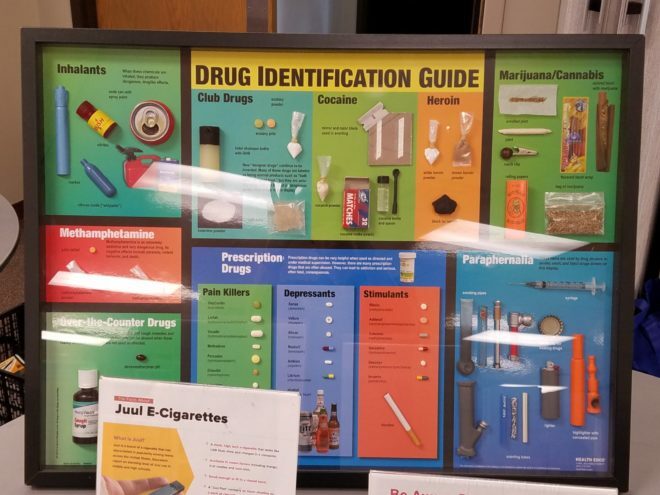 Some of the issues addressed were substance abuse, mental health, diabetes, physical activity/weight, cancer, social determinants of health, and oral health. A very informative evening. Thanks, Bill & Gretchen, for organizing. 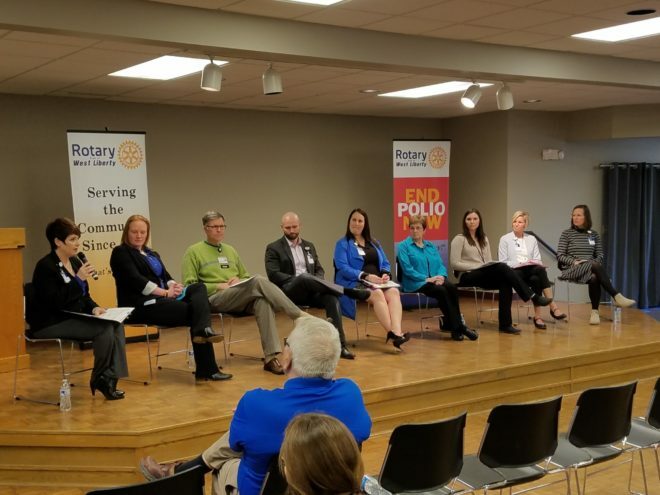 We will have a social event (chicken barbecue) with the Iowa City Downtown Rotary Club on Saturday, April 13 at 2:00 p.m. at the activities center at the fairgrounds. We will cook the chicken with Jeremy’s grill to find out the best way to prepare the chicken for our barbecue in October. We are also inviting Interactors from Mid-Prairie HS and WLHS. Each Rotarian is invited to bring a guest. We ask each Rotarian to bring a side dish that can feed eight people. Please sign up using the sheet at this link: April 13 sign-up sheet. The official minutes for the March board meeting were sent out to all members on April 5. Please take note that the board decided to change the meeting time for the last Tuesday of each month: from 12:00 noon to 6:00 p.m. No more noon meetings. Now all meetings will be held at 6:00 p.m. The following link will take you to a folder with materials from our visioning exercise: visioning. The final results are in the document “posters_transcribed_top_ideas.” Also at this link are photos of the posters we made, transcriptions of the contents of the posters, and the results of the visioning we did in 2013-14. 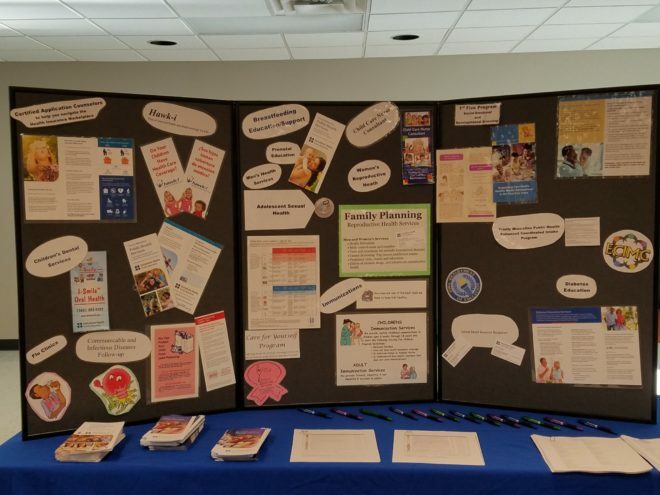 World Immunization Week will be April 24-30. You can help spread the word about the importance of vaccination in three easy ways: 1) Use a purple marker or nail polish to paint your pinkie finger — or your nails. Post your picture on Instagram, Facebook, and Twitter using the hashtags #EndPolio and #VaccinesWork. 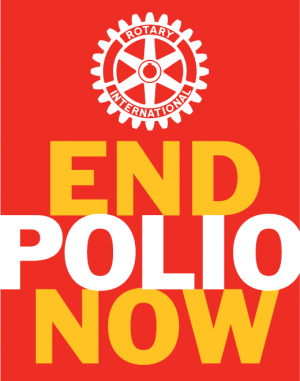 2) Download Rotary’s World Immunization Week resources for sample social media posts and graphics. 3) Make a donation to End Polio Now, and your contribution will be tripled thanks to the Bill & Melinda Gates Foundation. 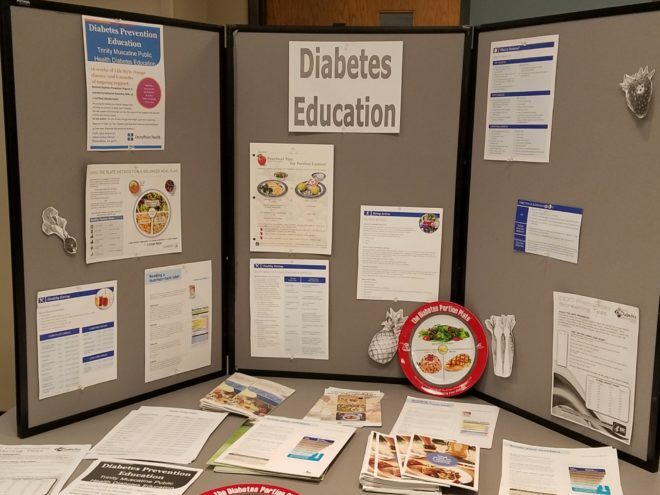 Click on the following link to learn about the results of the 2019 Benefit Dinner: https://mailchi.mp/8e62f112efd6/exciting-2019-news-68113?e=d8ab6cbf26. If anyone would like to have the contact information for the keynote speaker at the recent WLHS National Honor Society induction ceremony, here it is: Dr. Maria Guadelupe Bruno (mgbruno@iowa.uiowa.edu); University of Iowa / University Counseling; 3223 Westlawns; Iowa City, IA 52242; 319 335-7294. Apr 2 Public Forum on Health. Bill Koellner and Gretchen are coordinating this event. Apr 9 One Rotary Summit video with small group discussions. Board meeting follows. May 7 Visit FFA Greenhouse at the WLHS. Board meeting at 7:00 p.m. Potentially ELC Safety Night, with our club serving dinner. May 28 6:00 p.m. The Sasmazer family will share details about their recent visit with Evren in Japan. Program arranged by Jim Keele.